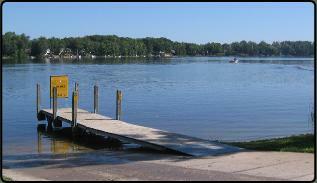 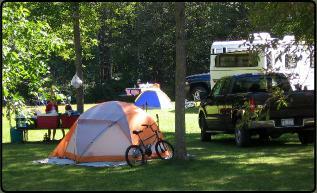 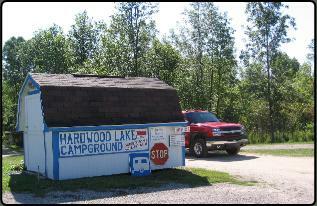 The Hardwood Lake Campground is located in the southwest corner of the lake at 3231 S. Henderson Lake Road. 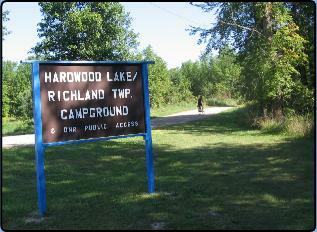 It is owned and operated by Richland Township, Ogemaw County. 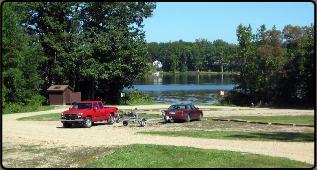 Check in / check out time is 3 p.m.There is a DNR boat launch adjacent to the campground.The campground is usually open from May 1 until mid-October, depending on the weather. 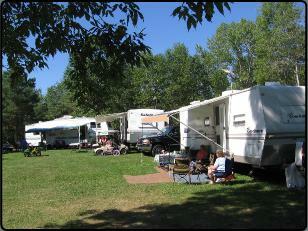 Phone 989-873-6581 for more information. 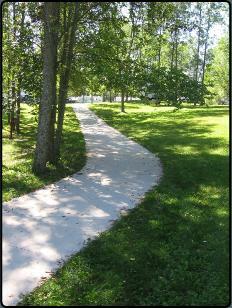 If we are out mowing or doing other work away from the phone, please leave a message and we will get back to you. 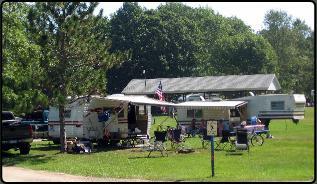 For information during the "off" searson please call Richland Township Clerk Dawn Johnson at her home phone 989-873-4969. 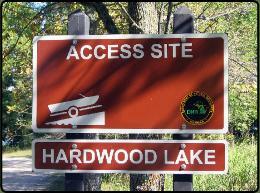 She works full time and may take a day or two to get back to you.